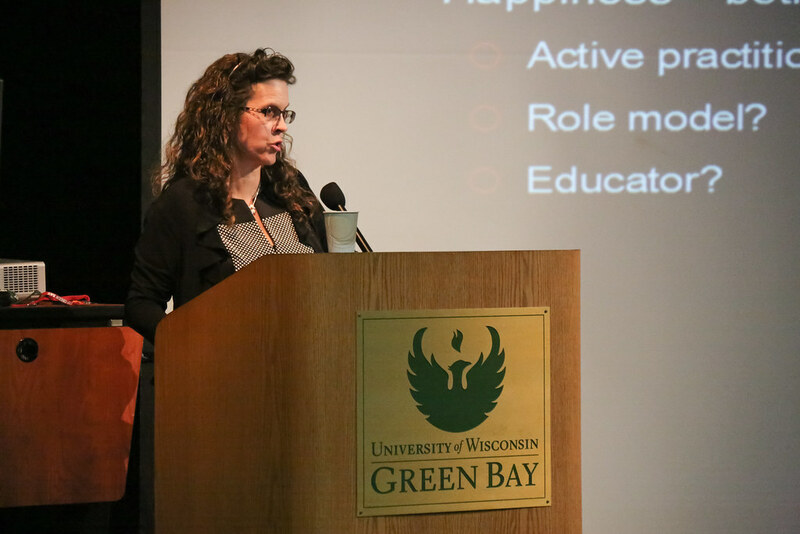 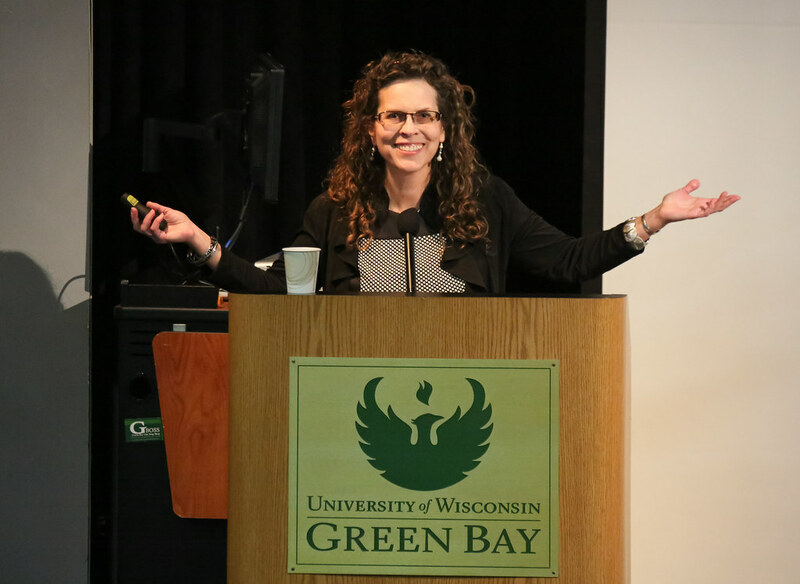 These were a few of the questions explored by Austin E. Cofrin School of Business Professor Lucy Arendt on Wednesday to a packed house of UW-Green Bay students, faculty members, staff and community members. One of her areas of expertise lies in understanding how leaders within organizations make their decisions as well as the consequences of those decisions, on both the organization and the individuals who work within it. 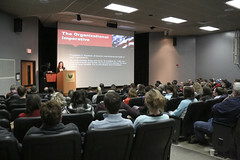 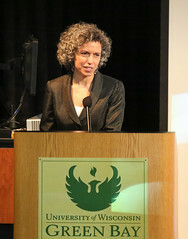 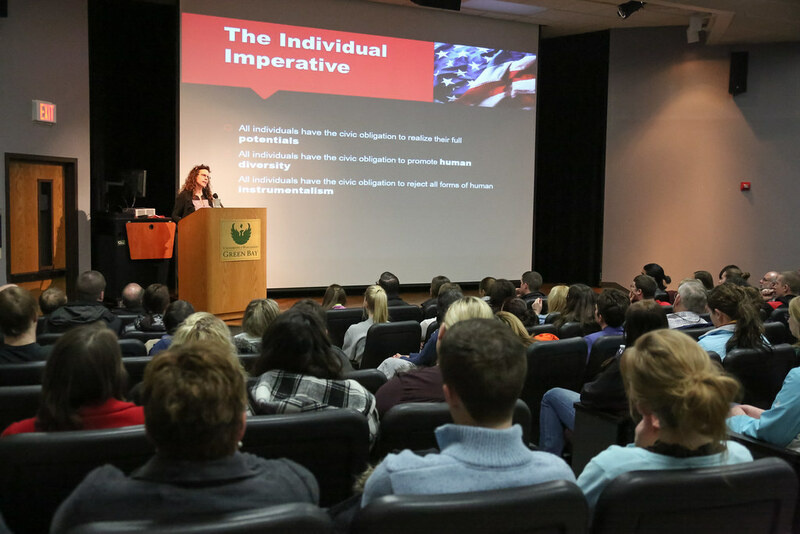 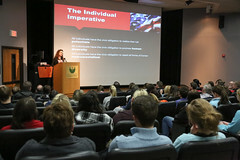 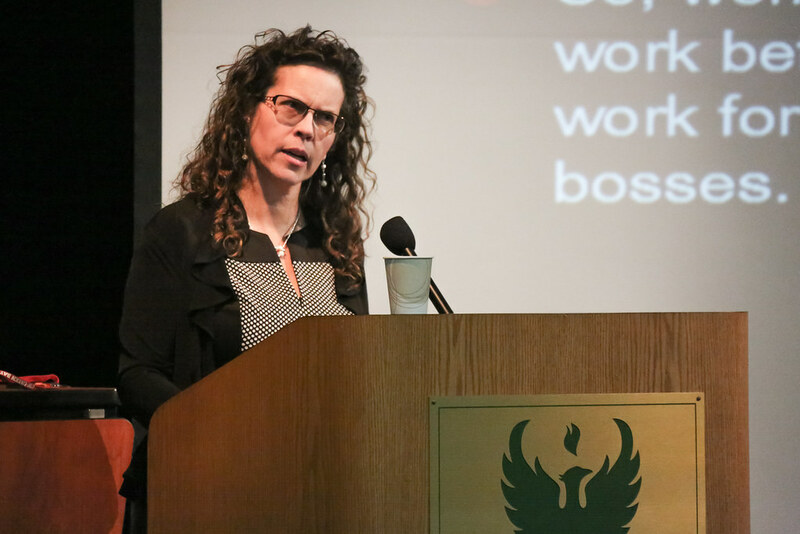 Her lecture, title “Made to Serve: The Tragic corruption of America’s Founding Values,” spoke to a trend she says she has seen through her research on the subversion of individual rights and freedoms to organizational goals, including profit. 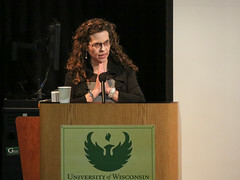 Arendt’s lecture was the fourth of six in a series featuring UW-Green Bay professors giving capstone lectures on topics in their area. 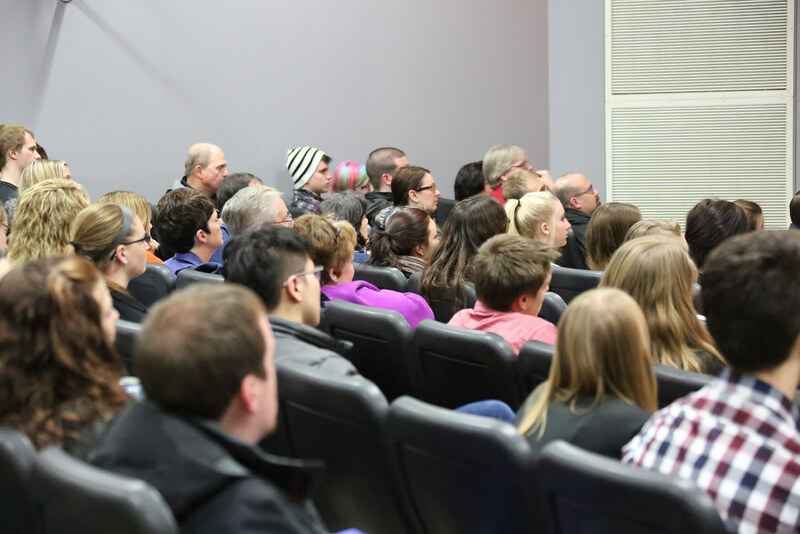 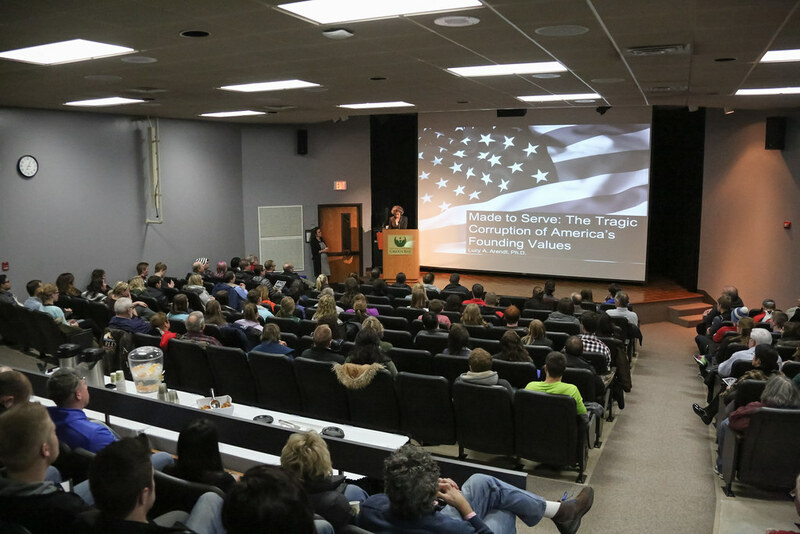 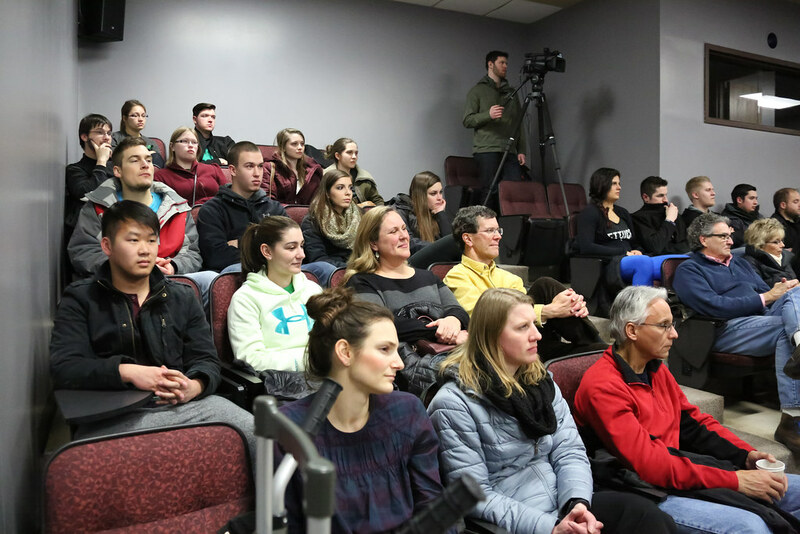 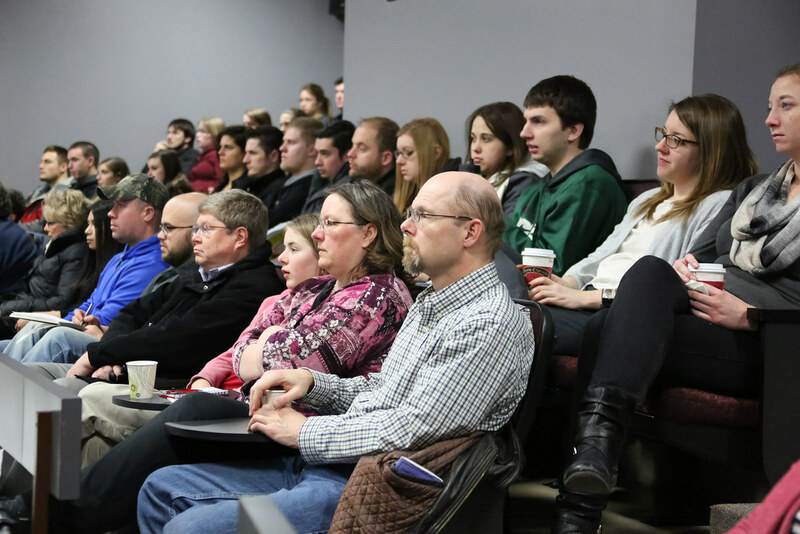 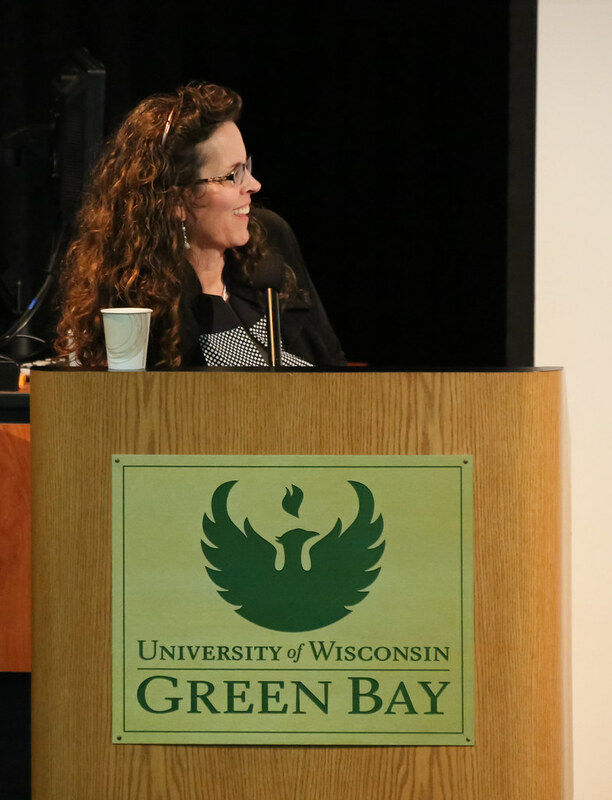 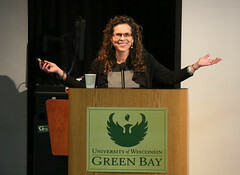 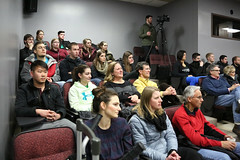 The Last Lecture Series was created as part of UW-Green Bay’s 50th anniversary. 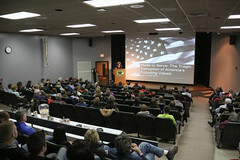 Arendt’s lecture was also the first in the series to be filmed by PBS for the University Place program. 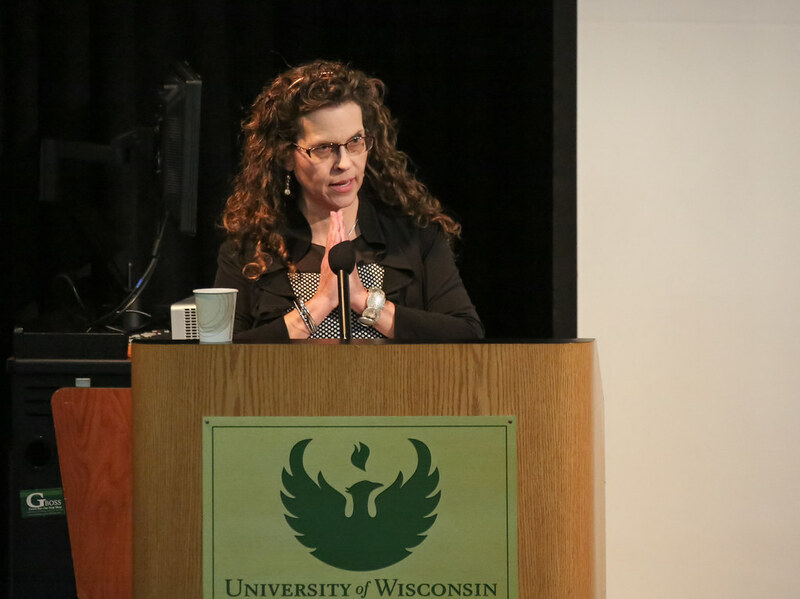 When production is complete in a few months, Arendt’s lecture will be featured on The Wisconsin Channel of PBS as well as located in the online University Place lectures archive. UW-Green Bay will provide links to the lecture at that time. 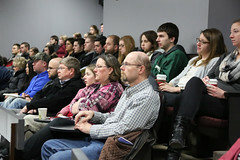 This entry was posted in Faculty/Staff and tagged Cofrin School of Business, Last Lectures Series, Photos on February 19, 2016 by Sue Bodilly.